Janel Bailey Keen is a certified floral designer, professional artist, artistic director and founder of Vivid Expressions. Janel is vastly experienced in marketing, tourism, education and performing arts and holds a BFA Degree. Janel founded the company in 2006 to be a consultant firm in arts, events, flowers and décor. Through this company, Janel acts as a consultant and helps clients choose a creative and unique theme for their special day. 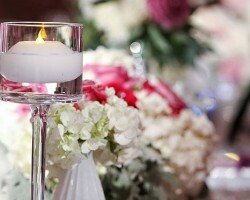 Also, she helps in floral and décor productions for weddings and other events. Barbra Anderson is a woman who grew up in the glamorous world of weddings. This inspired her to start her own wedding planning company. 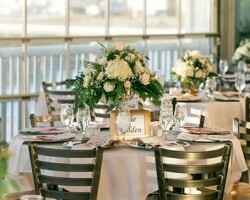 Dubbed Style Events, Barbra’s local company has been in the events planning business for over 20 years. Throughout her career, Barbra has worked alongside other professional and experienced wedding planners. 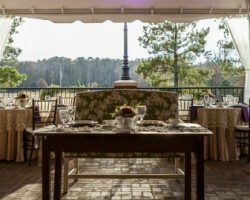 As a wedding planner in Norfolk, VA, Barbra loves music and organizing weddings. Currently, Barbra is working on launching the Virginia Wedding Week and Expo in January 2017. A native of Virginia Beach, Ashley Lauren Fussell is the lead coordinator and founder of Soirees by Lauren. As the lead coordinator, Ashley holds a bachelor’s degree in Fashion Merchandising and Marketing from the Old Dominion University. Thus she is more than qualified to be the head of one of the leading event planning companies in Norfolk. As one of the best Norfolk wedding planners, Ashley has put together a team of vastly experienced and professional event planners to help her in the company. Michele Carrizales saw a gap in the wedding planning industry when she got married in 1997. The experience she had on her own wedding led her to establish her own party planning company, Morlina Events. Since the establishment of her company Michele has quickly risen to the top of the Norfolk wedding planning industry. Michele is a professional event organizer. With her experience, she is able to ease her clients’ stress and free them to concentrate on more important aspects of their wedding.